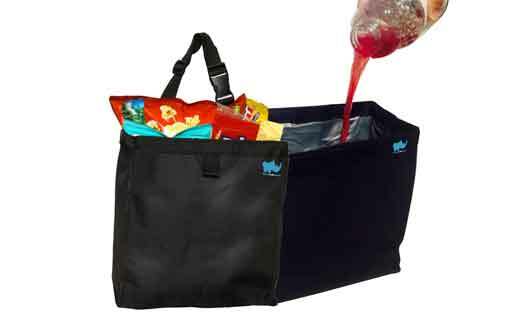 This car garbage bag, made of a high quality 600 Denier pack cloth, is 100% leak proof. It can hold three gallons worth of trash. Perfect for that new travel adventure. 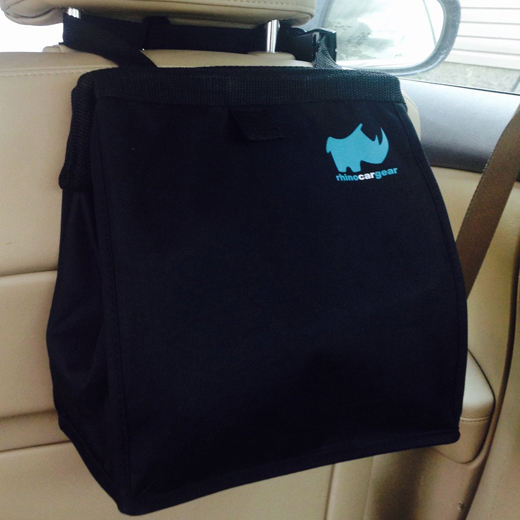 However, I use my RHINO CAR GEAR car garbage bag to hold my grandson’s car toys. 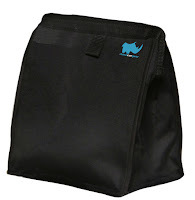 The RinoCarGear bag is stylish and very easy to open. Its’ adjustable straps fit around the car’s head rest for the perfect fit! This product comes with a one-year money back guarantee. 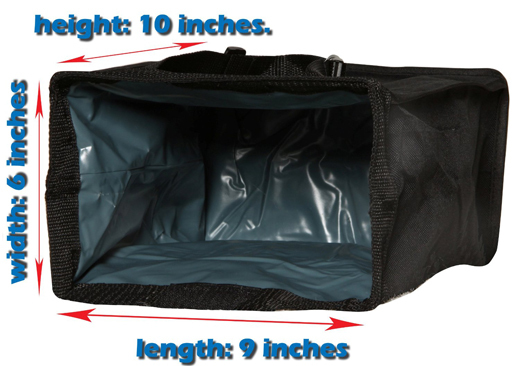 The car trash can is made from heavy duty rigid, high quality 600 Denier pack cloth with a PVC Liner and it is completely leakproof. The car garbage can is conveniently mounted within an easy arms reach of either driver or passenger. It is also easy for people in the back to access as well. Can also be mounted in the front seat too if needed. The car trash bag has a 3 gallon capacity to carry such items in one load : several cans of pop, chip bags, candy wrappers, tissues, and other car trash. Lid is constructed with a spring frame opening, will remain closed to avoid spilling trash from car, and re-open when needed. 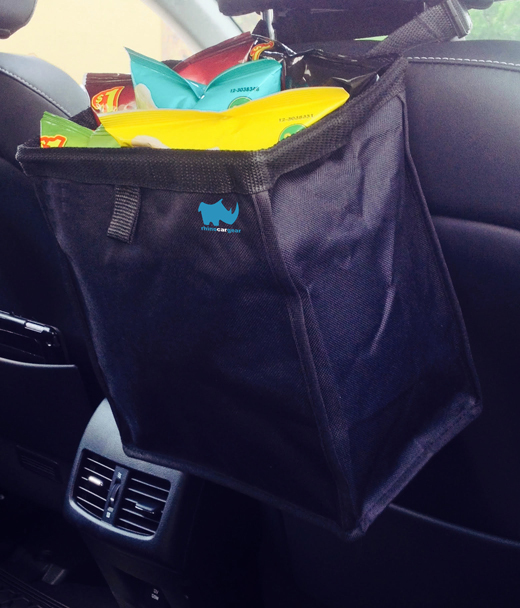 Our car trash bags will keep your garbage contained. The Car litter bag comes with adjustable straps that will fit around almost any cars head rest. Just attach the car litter bag around the (neck) of the headrest. The car trash can comes with a quick release buckle, which makes it extremely easy to remove all the car garbage and car trash. Car Trash Bag will allow plenty of legroom for passengers on side. If you aren't satisfied with our product we will gladly return your money back within 1 year. No more messes, stains, odors, and leaky liquids all over your Car! Rhino Car Gear is proud to announce the brand new "Rhino Bag." It is the solution to all your car mess problems!